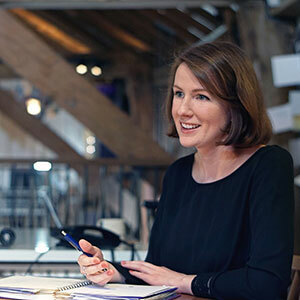 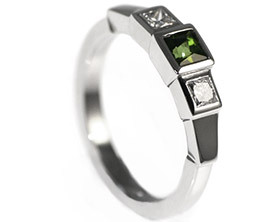 Scott had been looking for the perfect engagement ring for his partner Lauren so decided that the bespoke route would be the best way forward. 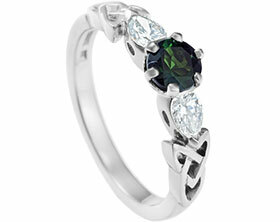 He loved the idea of Celtic knots and opted for one either side of the central stone as overlay. 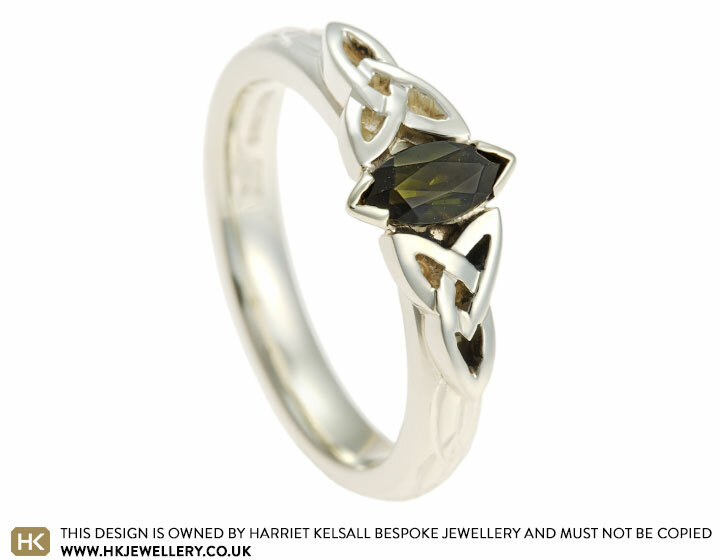 The central stone is a beautiful 6x3mm dark green tourmaline in a marquise shape which mirrors the shape of the Celtic knot and is emphasised further by the end only setting. 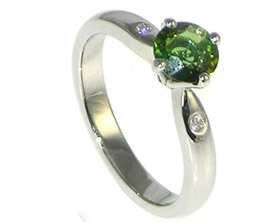 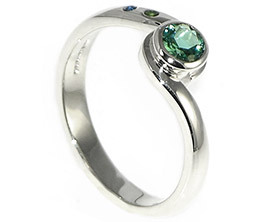 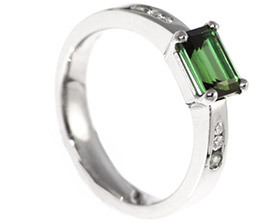 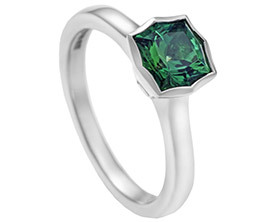 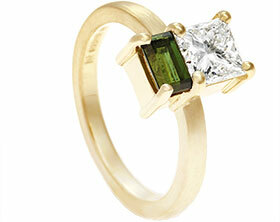 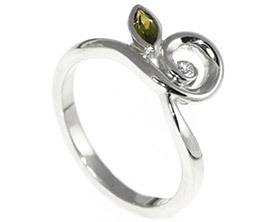 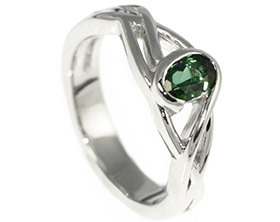 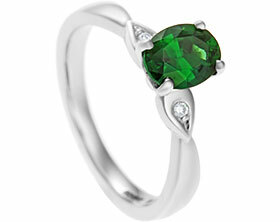 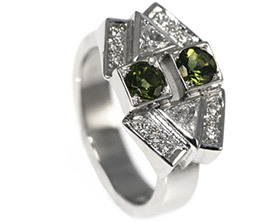 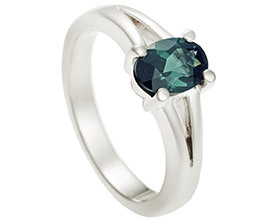 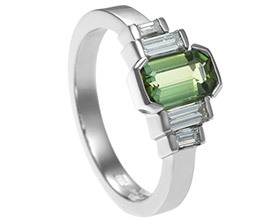 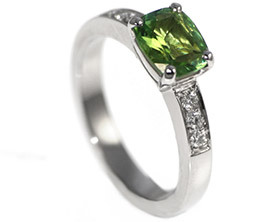 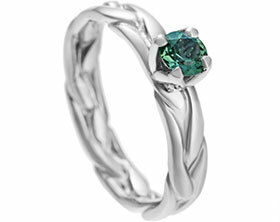 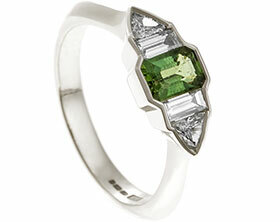 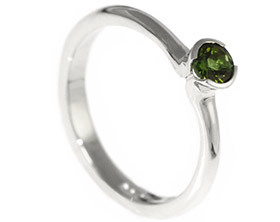 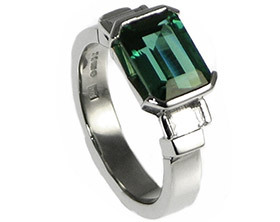 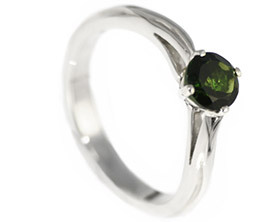 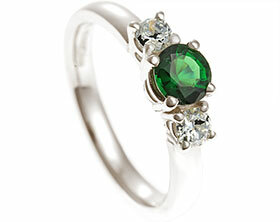 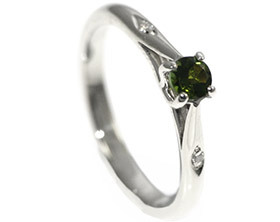 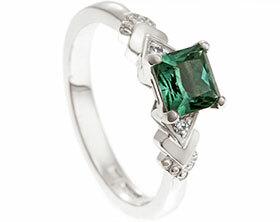 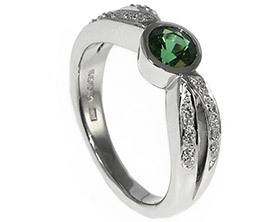 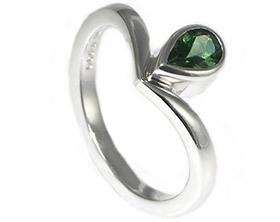 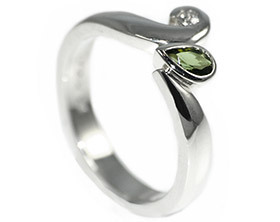 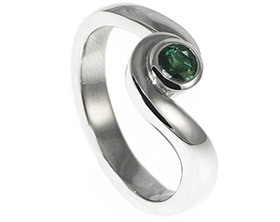 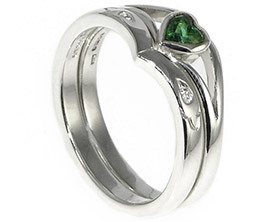 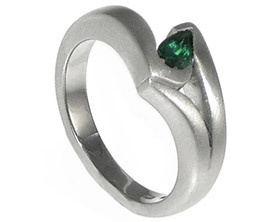 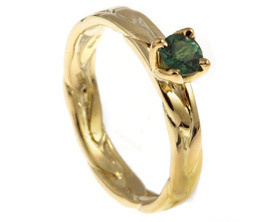 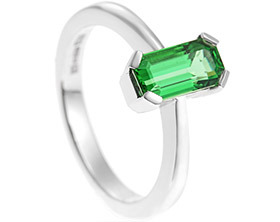 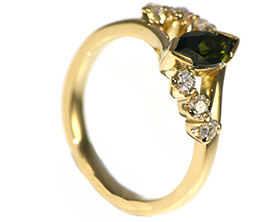 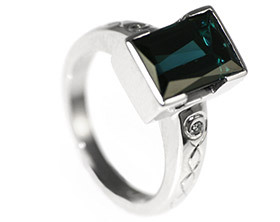 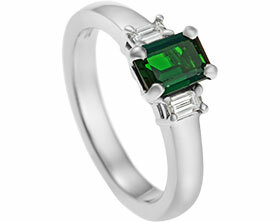 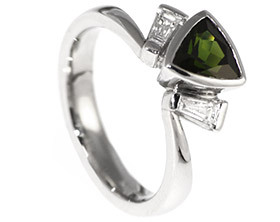 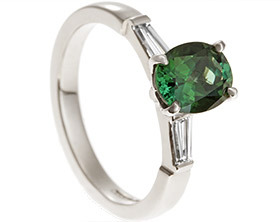 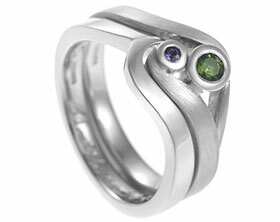 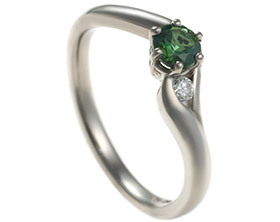 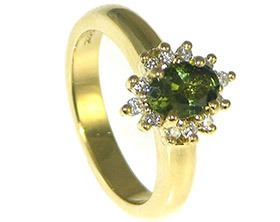 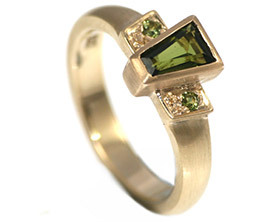 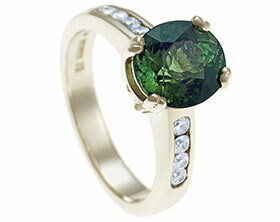 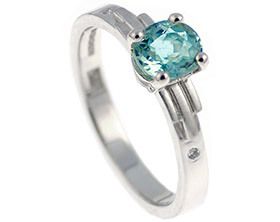 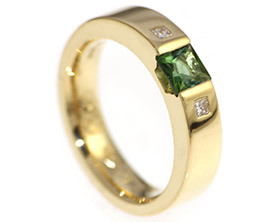 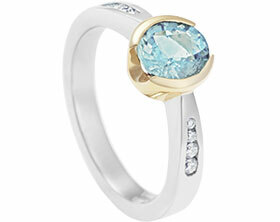 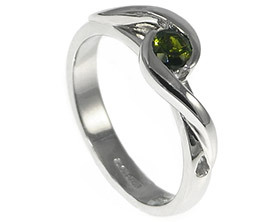 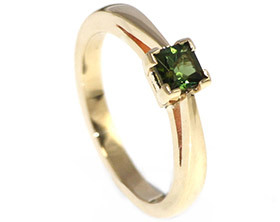 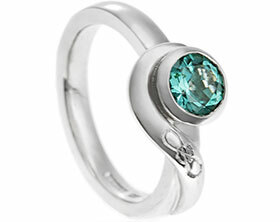 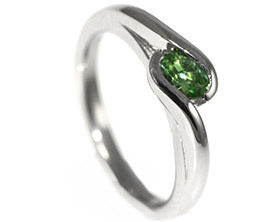 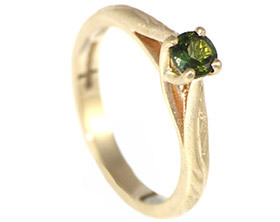 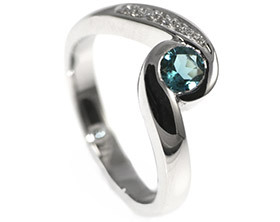 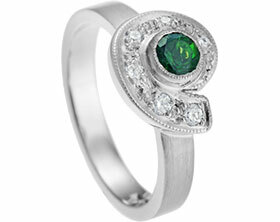 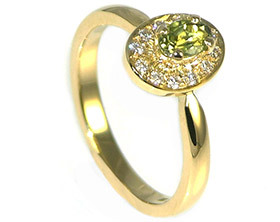 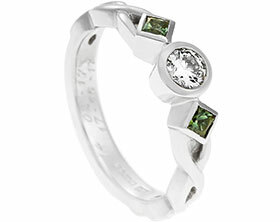 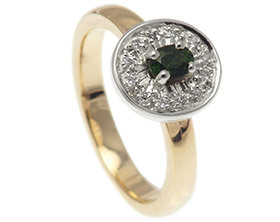 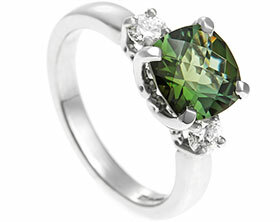 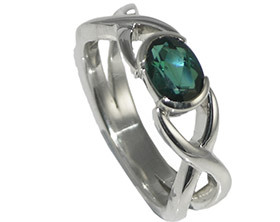 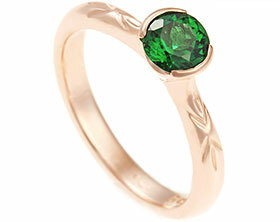 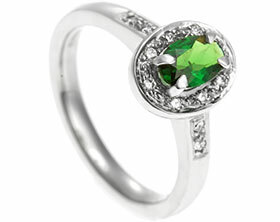 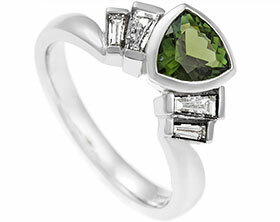 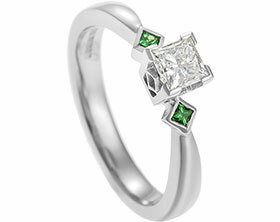 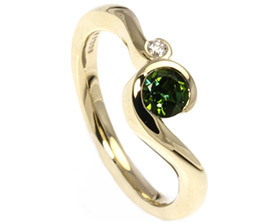 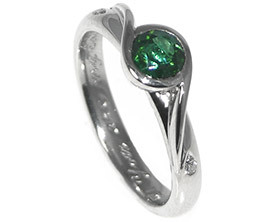 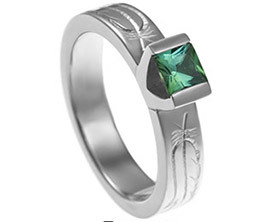 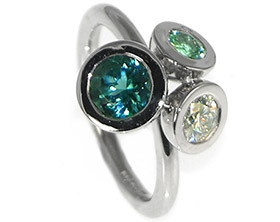 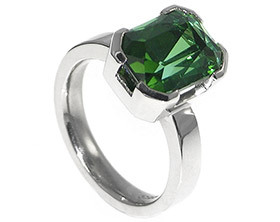 The warmth of the 9 carat white gold complements the green stone perfectly.